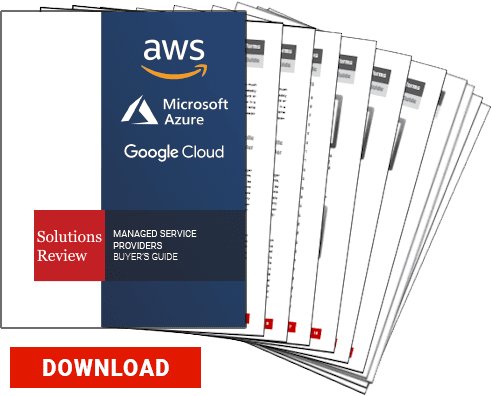 Amazon Web Services vs. Microsoft Azure vs. Google Cloud; What's the Difference? Amazon Web Services vs. Azure vs. Google Cloud; What’s the Difference? Even though cloud computing has been around for over a decade, three major cloud platforms continue to dominate the market. Those platforms are Amazon Web Services (AWS), Microsoft’s Azure, and Google Cloud. It’s hardly surprising that three tech giants would be responsible for the top cloud platforms. As the landscape of cloud networking evolves, the gap between the three is slowly closing. When choosing a cloud platform, it’s important to know what each one offers, and which tool is best suited for your purpose. Each platform has their own benefits and disadvantages when it comes to cloud computing. While they all provide similar core services, they also specialize in certain areas that make them more (or less) attractive to clients. We at Solutions Review analyzed each platform and compiled the key features, strengths, and weaknesses of each. We also looked at where the three providers put most of their attention to examine where they’ll best be able to help you – and where they might struggle. Amazon’s cloud platform, AWS, is an infrastructure-as-a-service (IaaS) cloud services platform targeting compute power, storage, and cloud-only networks. It is the oldest platform of the big three, having been around since 2006. A subsidiary of Amazon, AWS has dominated the cloud computing space ever since its inception. In 2018, Gartner listed them as the top leader in their Magic Quadrant for Cloud IaaS Worldwide. Being one of the forerunners of cloud networks, AWS leads the cloud playing field with a mature, developed program. Amazon spent over a decade retooling and refining their cloud platform. Their current offering ranks high in reliability, with a lower number of performance issues than Azure and Google Cloud. Security is another aspect that AWS has covered – their adaptive security tools allow businesses of any size to choose security features that are right for them. Some of AWS’s security features include data encryption, access control, and a robust firewall system. AWS is not only the oldest of the three, but also the largest in terms of scale. The platform currently offers over 140 services. With so many options available, AWS certainly has a steeper learning curve than either Azure or Google Cloud. For large enterprise projects, however, Amazon’s wide array of tools can cover every aspect of your work. It should be noted, though, that since Amazon mainly provides IaaS services, they don’t provide as many options and services for developers as its competitors. From its inception, AWS put most of its resources into cloud networks without any on-premises hardware. As such, Amazon has plenty of support for companies that want to put all their data onto the cloud. However, Amazon has been wary of supporting on-premises deployments in favor of cloud-only systems. They have begun to put more attention into their hybrid support, but their cloud solutions is much more developed and continues to be the primary target. Businesses that utilize a hybrid or on-premises network should take caution. Microsoft’s Azure is a hybrid cloud platform that gears towards the Internet of Things (IoT), DevOps, and app development. Microsoft was the first company to introduce a cloud platform that could match Amazon’s foothold in the industry. While Azure hasn’t quite reached the level of market share as AWS, they’re poised to become Amazon’s fiercest rival. Microsoft CEO Satya Nadella has brought Microsoft back into the forefront of tech, and Azure’s abilities are a testament to this. Microsoft has been a longtime voice in the industry, giving them a leg up on technical and business expertise. Unlike Amazon, Microsoft focuses chiefly on hybrid cloud networks, allowing clients to utilize on-premise hardware while also migrating their data to the cloud. Security and privacy are a priority, with tools to help users detect threats and suspicious devices in real-time. Azure provides IaaS services as AWS does, but offers more platform-as-a-service (PaaS) resources than Amazon. Developers can work with a variety of coding languages and programming tools that Azure supports. Azure also includes automation features to help you automate common repetitive tasks on your network. However, Azure has little in terms of automatic management. Azure clients must manage their data manually, which means that they need somebody to directly operate Azure to ensure their data is properly maintained. A big benefit to Windows users is that many of Azure’s services stem from previous Microsoft products. As such, it’s easy for companies who use a Windows OS to integrate Azure into their systems. Of course, this means that Azure may not be as desirable if your company uses MacOS, Linux, or any other OS. This also means that clients rely on Microsoft to keep Azure’s systems up and running. Since Azure relies less on third-party software than AWS or Google, a blow to Microsoft’s systems will inevitably be a big blow to Azure users. Google’s cloud platform, appropriately named Google Cloud, provides secure storage and analytics. Google is the first challenger to rise up to Amazon and Microsoft’s firm grip on cloud computing. In 2018, Gartner’s Magic Quadrant for Cloud IaaS Worldwide listed Google Cloud as a Leader for the first time. Though its presence as a cloud platform isn’t as strong as its two rivals yet, Google Cloud is still a powerhouse in its own right. Google Cloud certainly isn’t as big as AWS and Azure in terms of services and market share. Indeed, Amazon and Microsoft are better equipped to handle enterprise projects than Google. They also have fewer locations across the globe, limiting their ability to provide for international businesses. However, Google Cloud may be preferable to smaller companies who don’t need hundreds of programs running on their network. Still, if Google is going to increase their market share in the cloud industry, they’ll need to put more focus into working with enterprises. Google has heavily supported open source developments, so any company who develops open source products should investigate them. One of their open source programs, Kubernetes, is one of the most popular systems for managing and deploying containers. Even AWS and Azure have adopted Kubernetes services. Google is also the ideal solution for incorporating machine learning into your projects – while Amazon and Microsoft use basic machine learning solutions, Google Cloud offers several APIs that utilize specific applications of machine learning, including Cloud Speech-to-Text and Google Translate. However, users have noted a lack of support for native backup services. Google relies on third-party partners rather than in-service systems for backup and disaster recovery. Recently, Amazon acquired CloudEndure, a disaster recovery and migration company that partnered with Google’s cloud platform. It isn’t clear if CloudEndure will become AWS-exclusive yet, but this news – alongside Amazon’s recent launch of AWS Backup – highlights the risk Google runs by not offering an in-house backup service. Relying on partners to keep clients’ files backed up shows a weakness in Google’s ability to promise the safety of your files. When evaluating cloud platforms, it’s important to keep their strengths and weaknesses in mind. However, it’s equally as important to understand where providers put the most attention into developing and maintaining. Seeing what Amazon, Microsoft, and Google concentrate the most on will give you an idea as to where they’ll best be able to help you. It will also let you know what areas they might not have a good amount of support for. All of these factors are crucial to think about when considering a cloud platform for your business.